As seen in the June 2016 Edition of Golf Australia Magazine. Chances are you’ve seen it, the cracking bit of shtick by the late, great and ridiculously funny man Robin Williams; the one in which he explains golf in the character of a maniacal, drunken Scotsman. You know the one (and if you don’t then Google is your friend, and you may thank us later). Funniest bit of golf gibber ever. There he is on stage ripping off that thick Scottish brogue, riffing about his idea for a sport, one in which you whack a ball towards a gopher hole, with a tyre iron, trees and bushes and high grass between you and the target hundreds of yards away. “And you do this one time?” Williams asks himself. Brilliant stuff, and there’s been no more eloquent – and virally forwarded, shared and re-Tweeted – piece of commentary on the great game’s challenges and frustrations. And if you’ve ever three- or four- or – oh dear, sweet Ernie Els, no – six-putted, you may have cursed that Scotsman and the torturous size of his gopher hole. One man wants to change that. 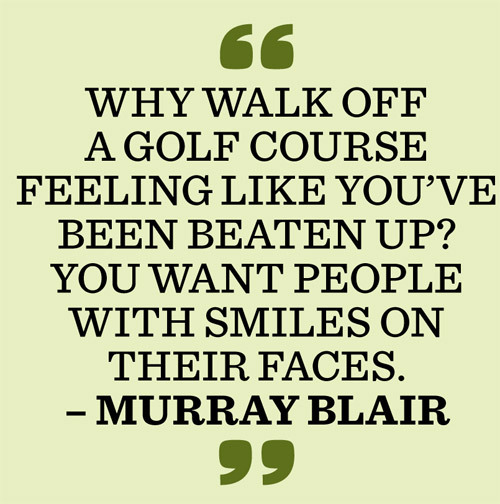 Murray Blair is head professional at Canberra’s Gungahlin Lakes Golf Club and the creator of Big Hole Golf (BHG). 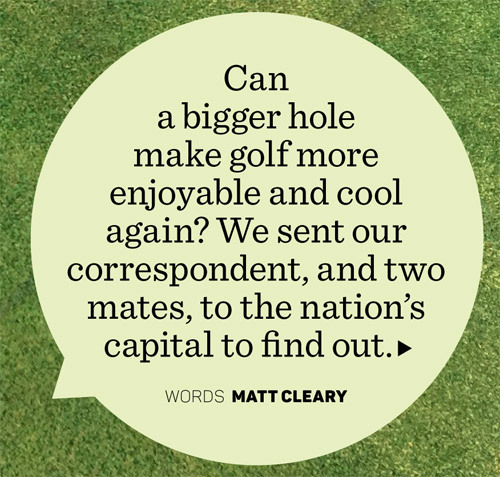 It’s golf as we know it but with a hole the size of a dinner plate. There are other ‘tweaks’ to tradition to entice beginners. But the eight-inch (20.3-centimetre) size of the hole (a normal hole diameter is 10.8cm or 4.25 inches) is effectively the nub of it. 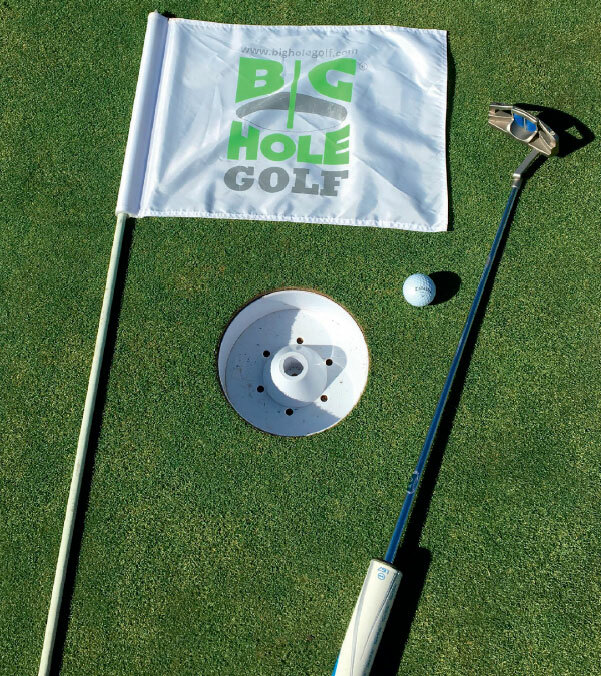 For we rusted-on members of the “it ain’t broke, don’t fix it” brigade, we who have no great truck with the game or the hole’s traditional dimensions, BHG’s theory is that if you already love the game, you’ll love it as much, perhaps even more, when the game is played with a bigger hole. P-p-poppycock? Perhaps. But imagine if the hole was half the size. 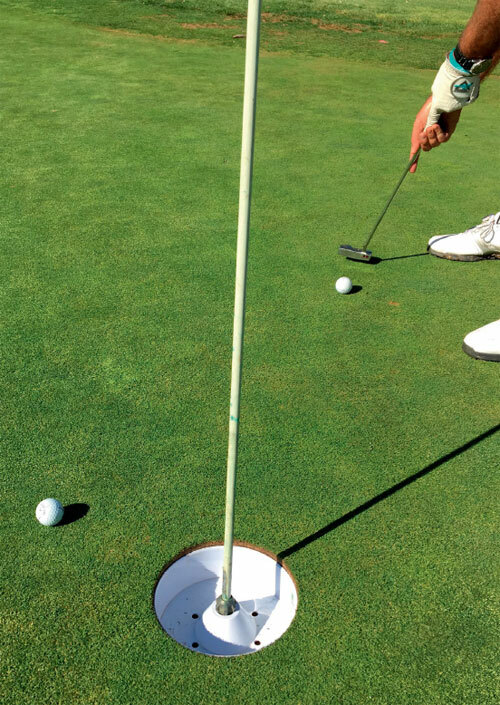 Would you enjoy golf more if the hole was two inches wide? You would not. So if halving the size of the hole would halve the enjoyment, would doubling it double it? Myself and two mates, Mick and Blacky, are on the 1st tee at Gungahlin Lakes to road-test the theory. It’s a bluebird day in our nation’s capital and we’ve been fortified with rib-eye steak and a schooner of Kosciusko Pale Ale (because, as Blacky says, “We’re not savages”) and we talk of our expectations for the nine holes ahead. “This could be my best ever chance for a hole-in-one,” I muse, and there is nodding. And thus, in the ways of golf kooks everywhere, we discuss whether such an ace would ‘count’ in one’s personal pantheon. And so on. And away we go. And it’s a good deal of fun. We play ‘normal’ golf from tee to green – then get onto the dancefloor and become Jordan Spieth. We attack from everywhere. Thirtyfooter? Go at it, son! Take out the break. Leave ten feet coming back? No worries! Jam it home! Good as a gimme, that distance, rap that puppy home with authority. Blacky gets philosophical. “This is fun, but is it golf?” he asks.The answer is yes – it is golf. But it’s not real golf. And if you’re a real golfer you won’t be brushing RG for BHG. But then Blair doesn’t want you to. He sells BHG as a fun thing to do on aThursday afternoon. 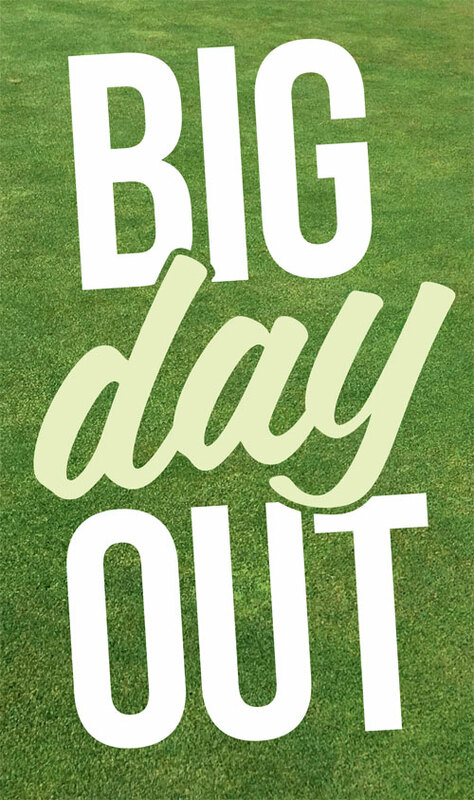 Or as an option for a corporate day with people who don’t play. Or to get kids interested in having a whack. Or as something to play just for the very hell of it. “Inflexible membership models!” asserts Blacky.